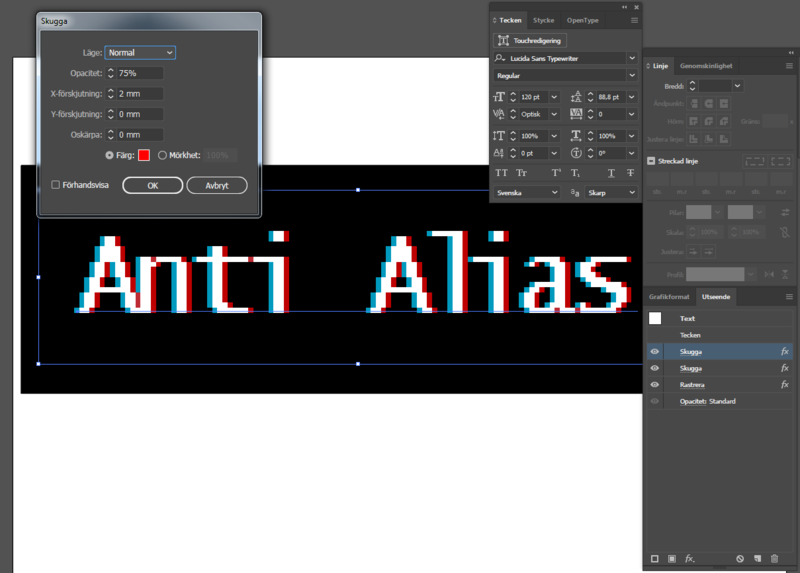 I want to be able to create a anti-aliasing effect as shown in windows command prompt with any text or vector I'd like without having to screenshot it within the program. How could I go about doing this? Type text in 120pt size (white) over a black background. Add a shadow from the Effects options with positive x-offset (2mm). Set Y-offset and blur to 0. Set the color to red and opacity 75%. In the appearance panel, copy the shadow and edit x-offset to negative(-2mm). Set the color to blue and opacity 75%. Add Rasterize from the Effects options. In this example I used 12ppi resolution with transparent background and no antialising. Sorry for the swedish text in the UI, but I hope you can figure it out anyway. 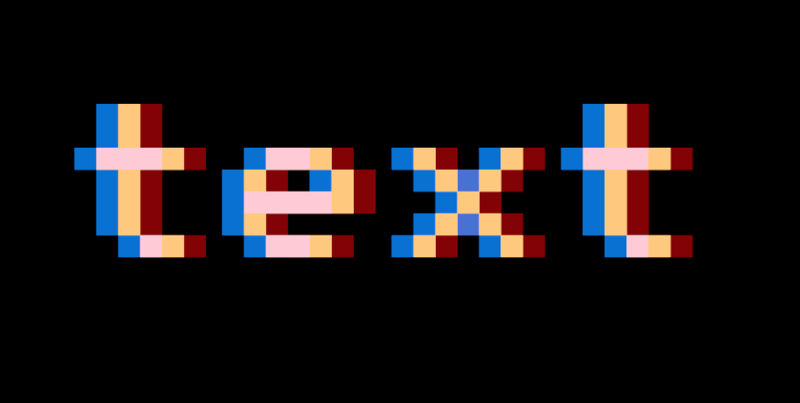 Now the result can be a bit unpredictable with shadow not appearing on some letters so one need to tweek and experiment. Not the answer you're looking for? Browse other questions tagged vector text anti-aliasing or ask your own question.